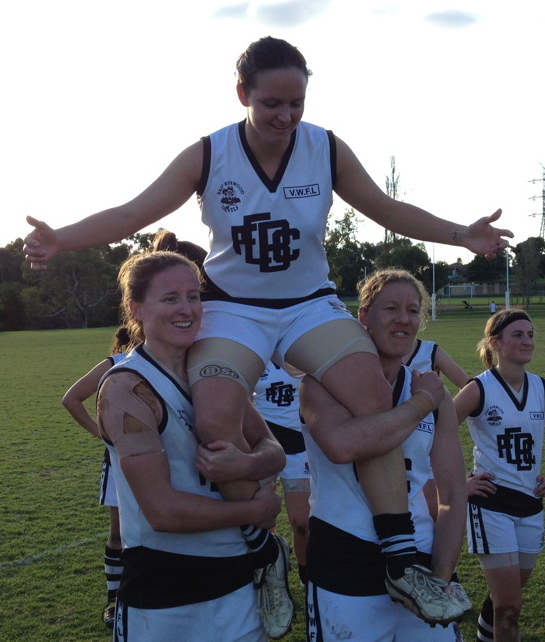 Robbie Foster joined the 100 club yesterday when she ran out with the Seniors in their round 6 clash against Darebin. Robbie started her footballing days with Heidelberg in 2004 before her desire to play at the top level prompted her move to the Devils in 2008. A serious neck injury saw her sidelined for much of the 2009/2010 seasons but she has been back to her best in recent times owning the wing with her pace and run. Congratulations Robbie.